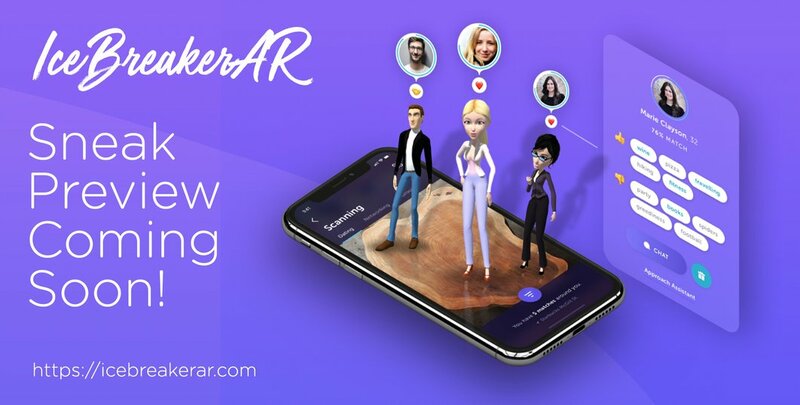 IceBreakerAR is a new tool that uses AR technology to assist us with meaningful interactions with other people. This can be used for dates or getting to know other people, both alone and in groups. 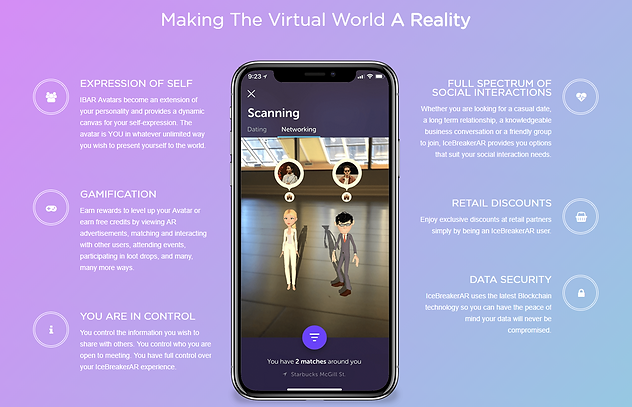 This decentralized application makes the virtual world a realistic representation. Here you have your own avatar, and you will even earn tokens on all the advertisements you come across as the intermediary is cut away. Advertisers pay directly to the users! In addition, a mobile application will be launched, where you can send messages, gifts and use it for personal assistance. Here you can also network with other people based on interest, qualifications, experience, and ranking. The coin issue is expected to start in the third quarter of this year. The company is headed by Thien Two from Canada who has over 15 years of experience in scaling. With him, he has Michael De Blok as COO, who has previously worked in companies like Microsoft and has more than 20 years experience in IT. The full team consists of 6 core team members, eight developers, and four advisors. The project has a soft cap of 3 million USD, and a hard cap of 17,9 million USD. The Pre-ICO will last from 1-14 August. The Main-ICO is starting 15. August and lasts until 5. September (unless hard cap is reached before). The first trial version of the software is expected to arrive immediately after the ICO is over. Disclaimer: This article contains paid placements and is not intended as financial advisory. We are not responsible for any losses made by investing in Blockchain launch-ups in the form of ICO (Token Issue) presented on the page. Prior to any investment in ICO, it is your own responsibility to do thorough research.